The idea of school can be stressful to most people. Let’s be honest, we’d rather be at our humble abodes than in a school chair staring blankly at a blackboard. But in a few cases, there are people who do associate home with school. Individuals who are homeschooled typically have important obligations to attend to, making it impossible for them to go to a regular school. It could also be due to personal preferences or health conditions. 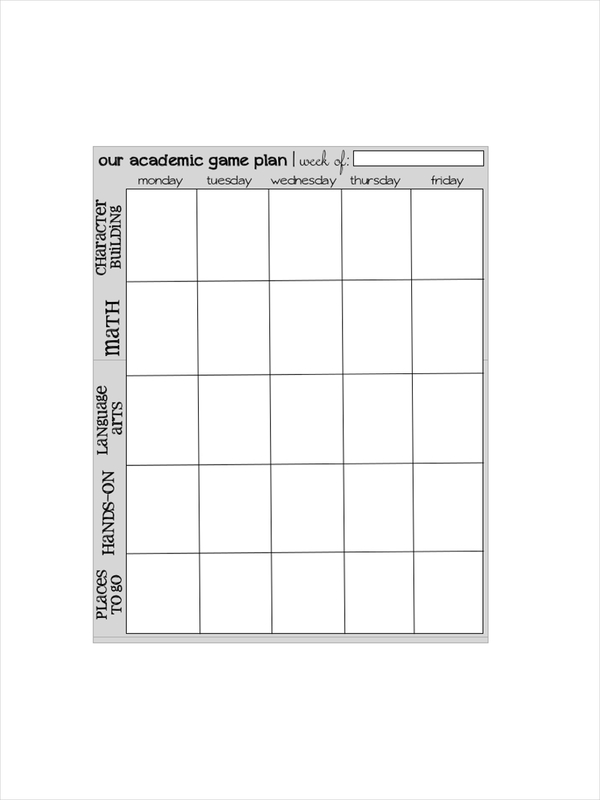 For a person that’s homeschooling, having a strict schedule example is important in more ways than one. What Does a Homeschool Schedule Look Like? 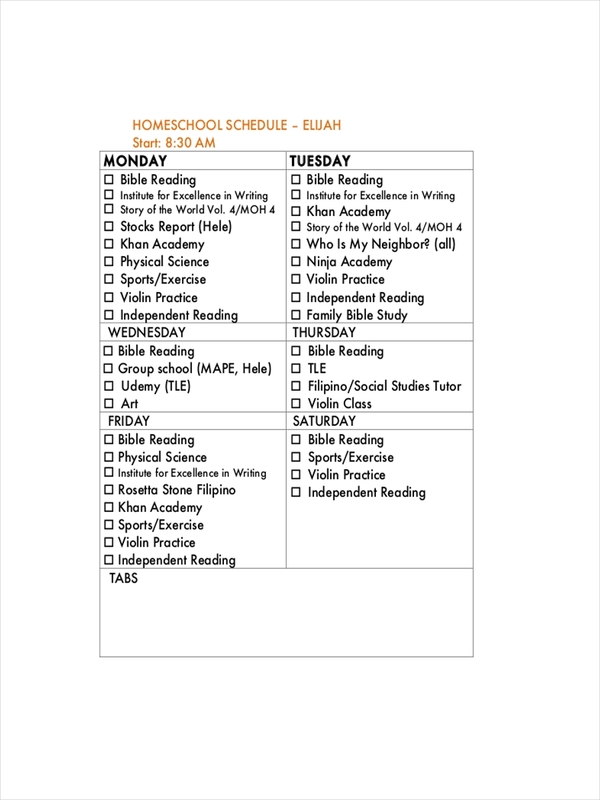 For starters, a homeschool schedule does not look any different from a regular school schedule. It contains an academic game plan that one would need to accomplish within a given day. From the start of the day to the end of the day, a homeschool schedule should consist of a list of subjects and activities that have been planned beforehand. Similar to an free agenda, it also contains a time frame allocated for each activity. The best thing about a homeschool schedule is that you can adjust it to your convenience. But like a training schedule, careful planning is necessary for it to be carried out effectively. 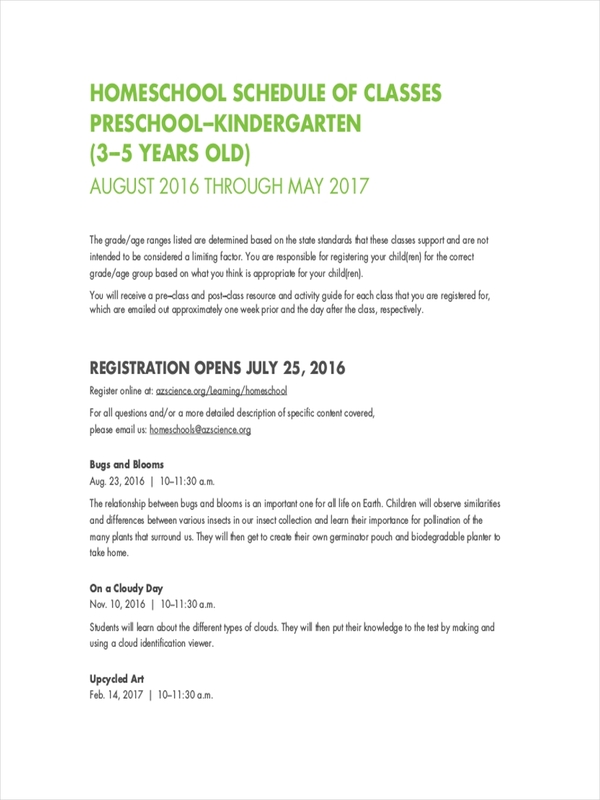 Each day may have different activities or it may be set according to the offered program. It’s best to present the schedule in a calendar or a chart for it to be easily understood and remembered. Adding a short description for each activity will also make it more exciting. 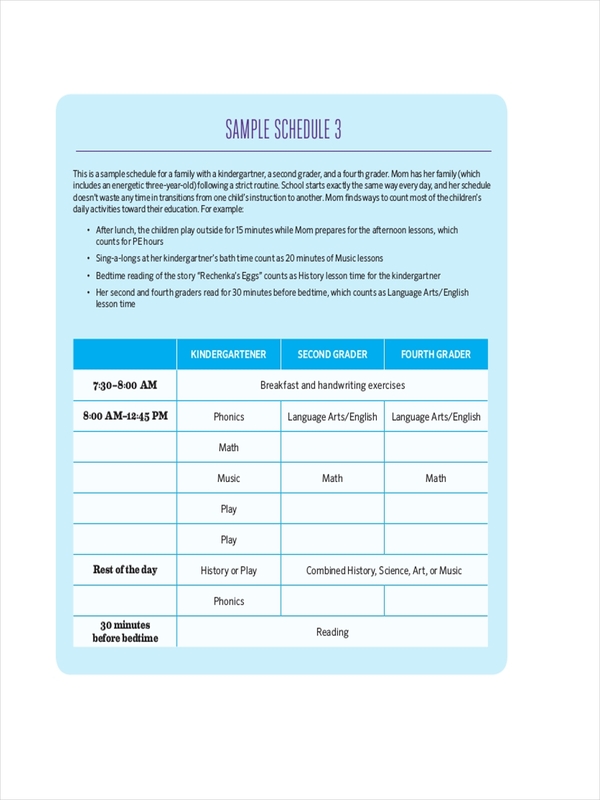 For a homeschool schedule that does not indicate a definite time frame, it would be best to present your schedule in a form of a checklist for easy monitoring. Why Should We Use a Homeschool Schedule? It’s easy to lose track of time when we’re in the comfort of our homes. Procrastination becomes a huge problem as we tend to ignore our responsibilities. For individuals who are homeschooled, it’s important to stay disciplined to avoid falling behind. 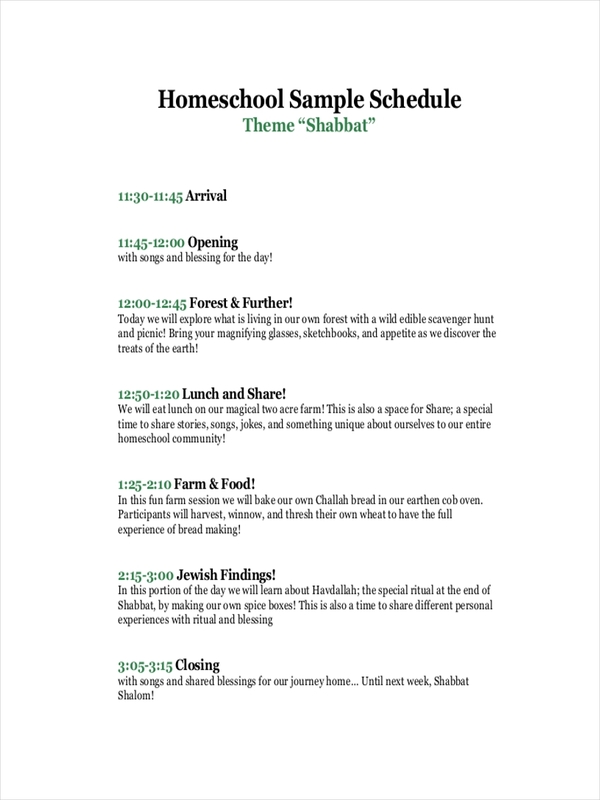 A homeschool schedule sample will allow an individual to take note of what needs to be accomplished within a day. Like in a regular school, they still need to deal with a lot of seat work, exams, and homework. Otherwise, they’ll be left cramming towards the end of their program. Make it a routine. Reoccurring activities scheduled daily or regularly may easily be remembered rather than those that are not. To make it not seem too repetitive, you could switch it up every now and then. Provide necessary instructions or guidelines. It might be useful to add a few reminders for things that need to be prioritized. Squeeze in breaks. Remember, students are not robots. They need to be given a considerable time to rest their minds in between schoolwork. Be strict. Discipline is key. The problem with homeschool is that a person can easily lose interest with what they are doing. Implement rules and provide activities that will promote better focus and concentration.